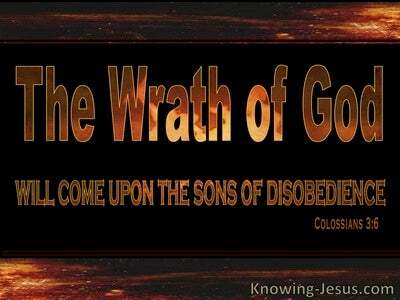 What Does Genesis 22:14 Mean? 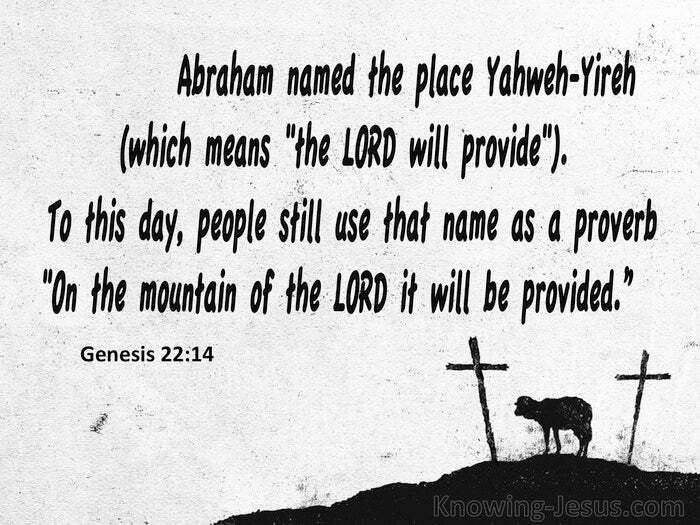 Abraham named the place "The LORD Will Provide." 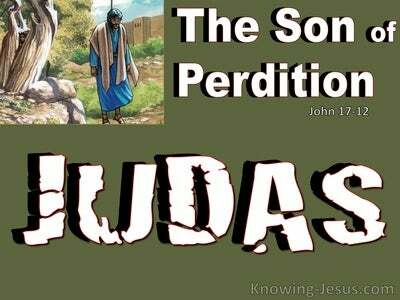 This name has now become a proverb: "On the mountain of the LORD it will be provided." Perhaps the most beautiful and poignant name of God is the one that the Lord gave to Abraham when, he and his son, Isaac were travelling to the place where God had called him to offer his beloved son as a sacrifice, in obedience to God’s command. "God will provide a lamb for the burnt offering, my son," Abraham answered. And they both walked on together. What a beautiful yet shattering picture of God’s only Begotten Son, Who like Isaac was also to be led up that same hill on Mount Moriah, at a place called Calvary - the place of a skull and bound and nailed to a cross - as the only perfect yet willing sacrifice, acceptable to a holy and righteous God – as the full and finished payment for the sin of the whole world. The Lord will indeed provide. 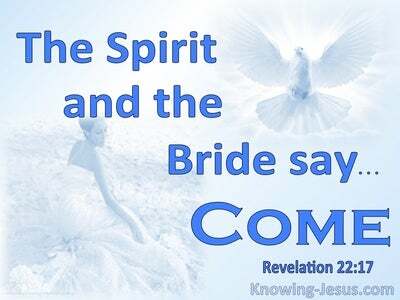 If He loved you so much that He gave His only begotten Son to die to save you from your sins – will He not much more provide for the daily necessities of life, knowing that we have need of these things, also. Let us not be of little faith – but men and women that trust His word implicitly, knowing that the Lord will indeed provide for all our needs, according to His riches in glory. 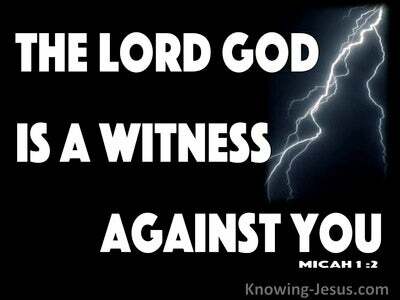 What a wonderful God You are, and I praise Your holy name for all Your goodness and loving kindness to me and all people by sending Your only begotten Son to take the punishment that I deserve. 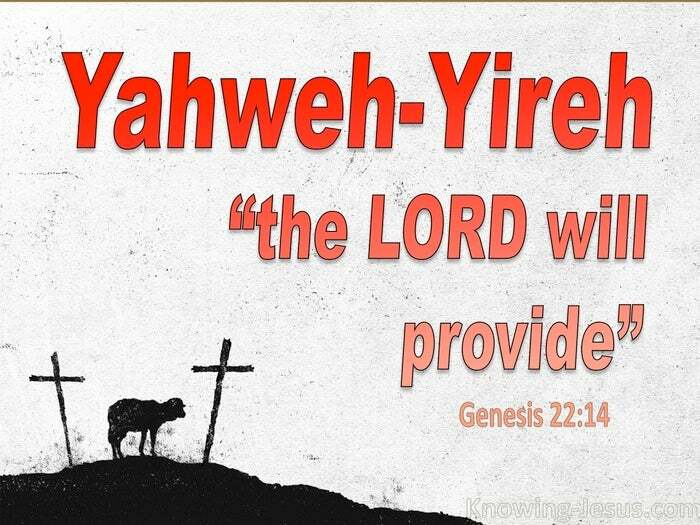 Continue to provide for my daily needs, my Father and in Your graciousness provide for all Your children, according to Your Own promise - Yahweh-Yireh, the Lord will provide, in Jesus name I pray, AMEN.